I've been a pastry chef for over a decade and have always been interested in how chocolate works. It's such a versatile ingredient in so many ways not to mention the health benifits it can provide. 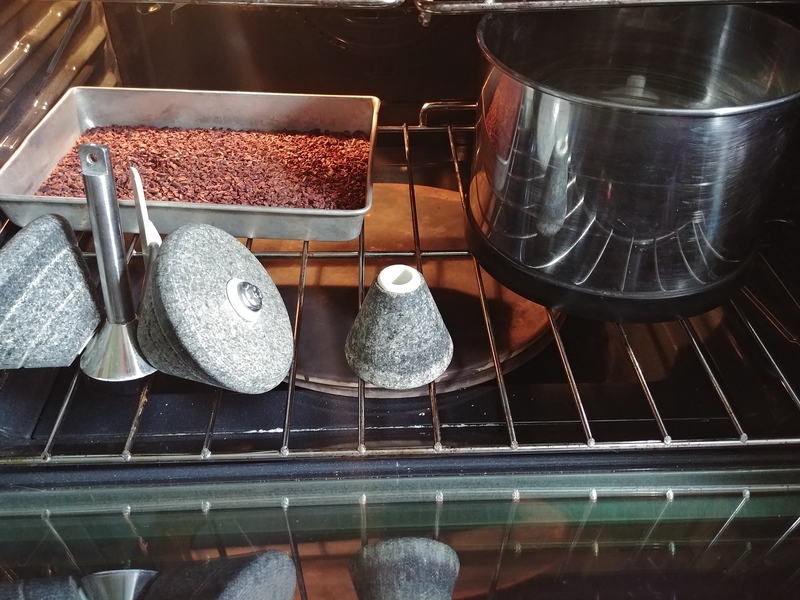 This topic is going to be about my first attempts at making chocolate from bean to bar. This is really something that hasn't been possible on a small scale until recently. I've done a lot of research and reading on the subject. 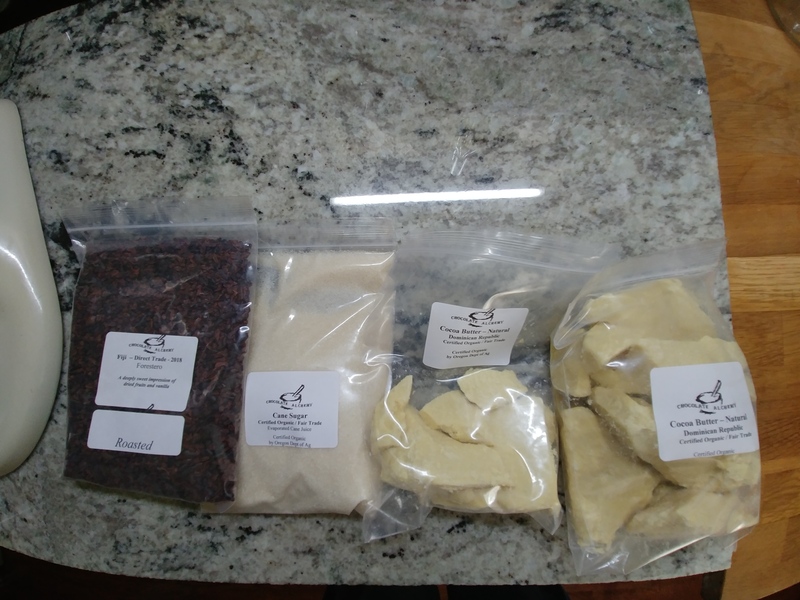 A lot of the information I have learned from John Nanci at https://www.chocolatealchemy.com and for this first batch it's where I've ordered my raw ingredients from. Nibs, cocoa butter, and sugar. Chocolate grows as pods containing seeds or beans this is what chocolate is made from. The beans are seperated from the pod and allowed to ferment, then dried. After drying the beans are roasted much like coffee beans are roasted and seperated from the husk/crushed into nibs. I haven't acquired a roaster yet so I've ordered my beans already roasted and processed into nibs. From there the nibs are placed into a machine called a melanger. 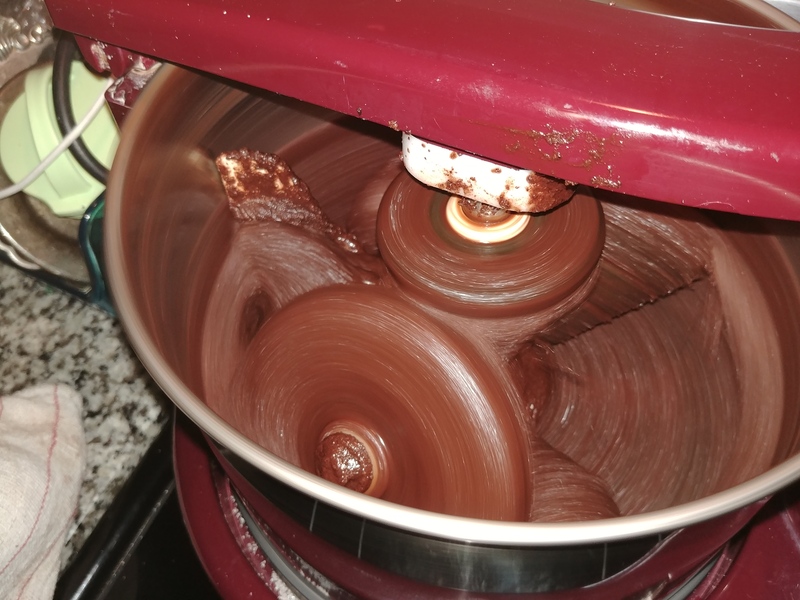 This machine uses granite stones to grind and grind the chocolate mixture making it smoother and smoother as it grinds. This also releases unwanted flavor compounds. This will take 24 hours of grinding to accomplish. It's been advised to pre-heat everything including the bowl and stones of the melanger. 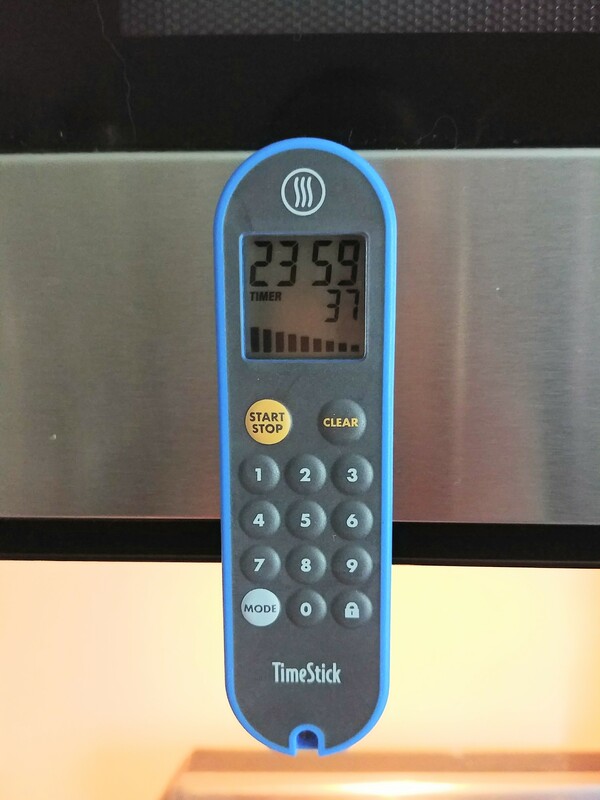 So I put everything in the oven on low for about 20 mins this just helps to get everything grinding smoothly. Since I'm making a 55% dark chocolate this time the sugar is slowly introduced once the nibs and cocoa butter are smoothly grinding. Now we wait 24 hours. While the chocolate is grinding I'll show another process I did a few days ago. I have to make some cocoa butter into what's being referred to in chocolate making circles as silk. Chocolate relies on crystal growth to set up or temper properly. There are many ways to do this. 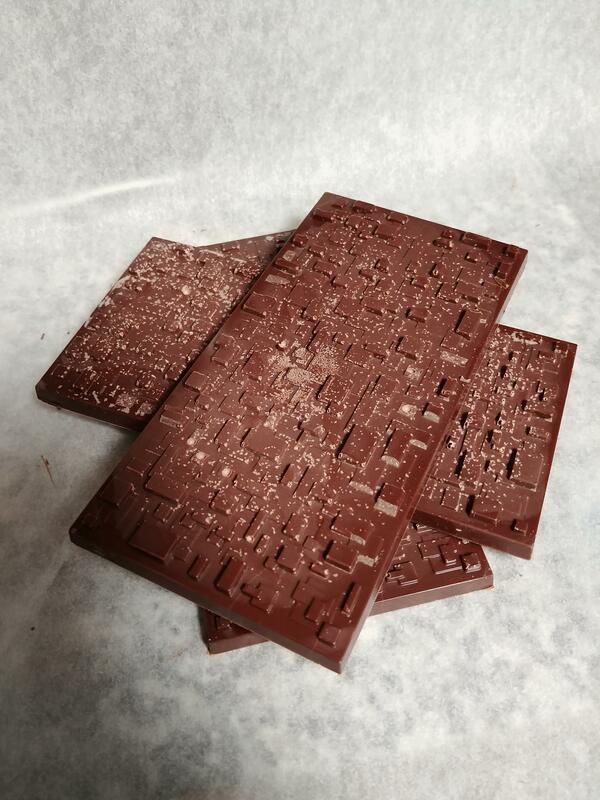 Most involve heating and cooling the chocolate to certain temperatures to encourage crystal growth. 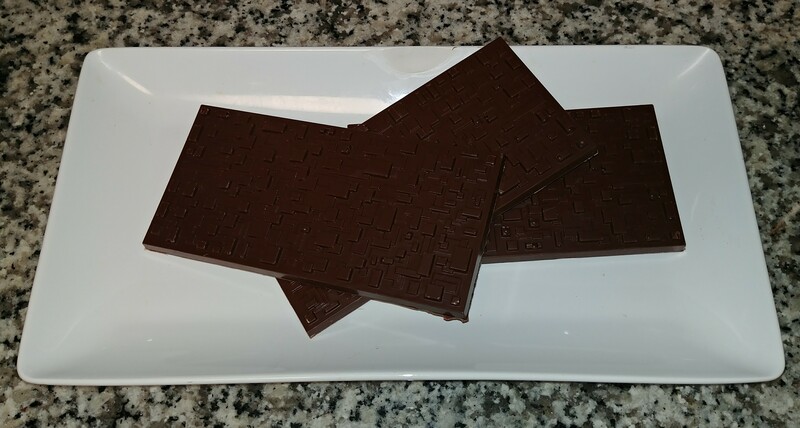 Untempered chocolate is soft and will "bloom" or have globs of cocoa butter come to the surface this is unappetizing and affects the texture of the chocolate as well. The cocoa butter silk on the other hand is comprised entirely of the type V crystals we want. 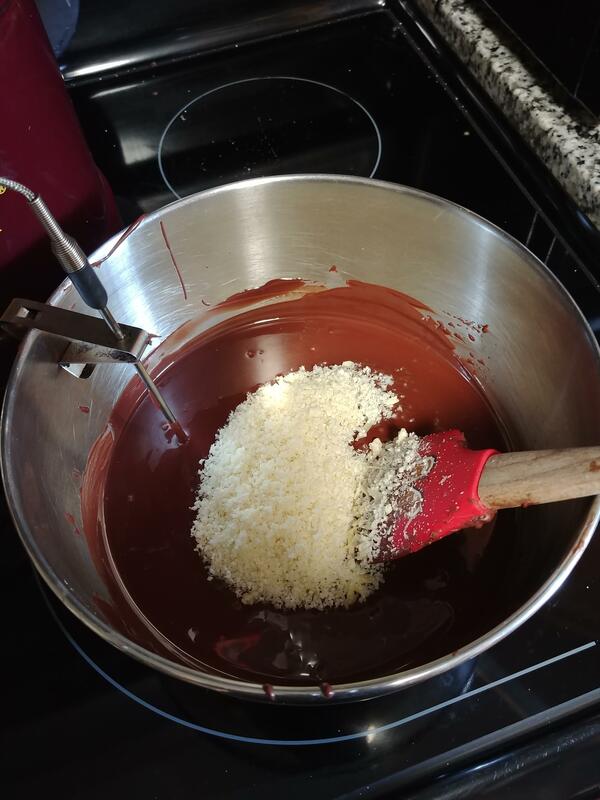 To temper chocolate with it we just add 1% of our total weight in chocolate in finely grated silk into the chocolate at 94°-95°F this promotes the growth of the type V crystals and gives the chocolate the "snap" and gloss we are looking for. 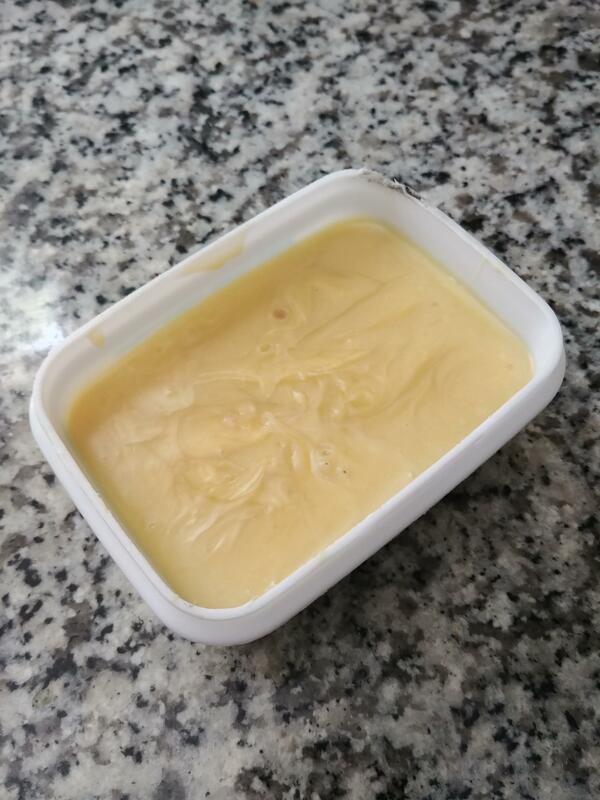 Back to the production of the cocoa butter silk. 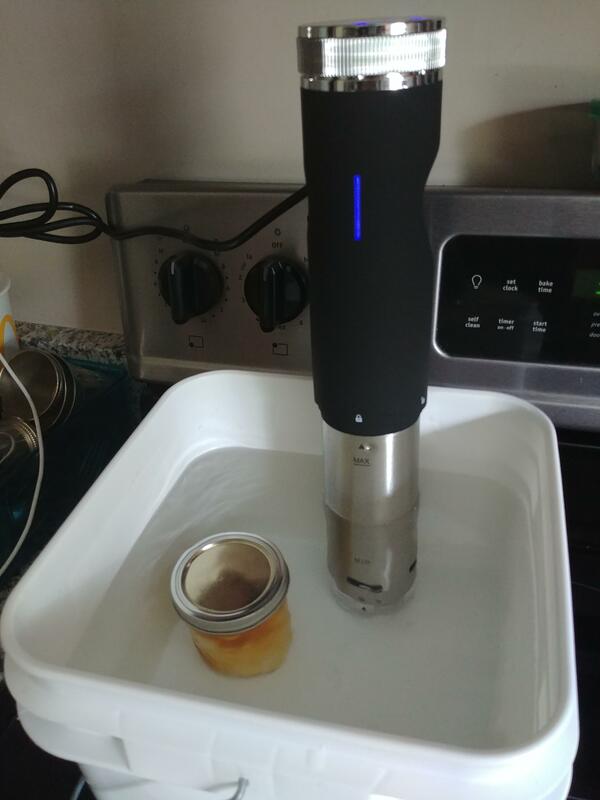 I'm using a sous vide setup to produce my silk. All silk really is is tempered cocoa butter. 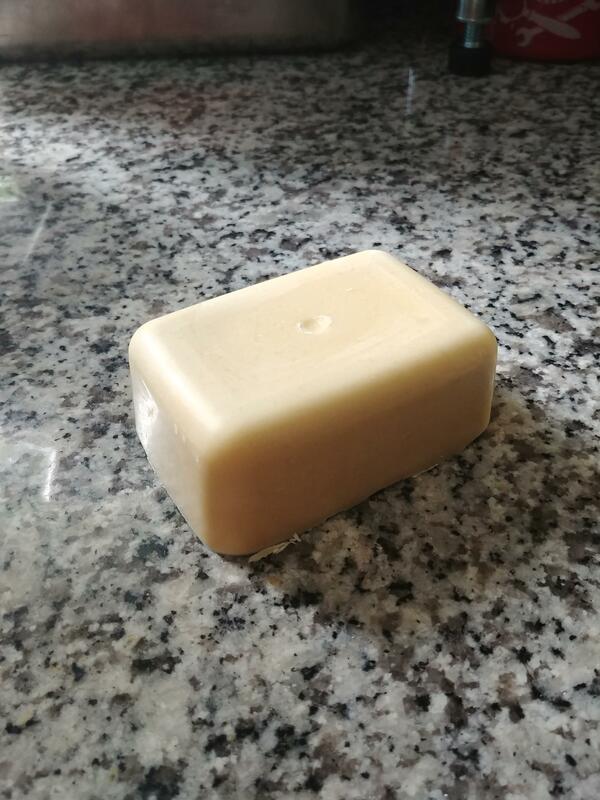 To produce it the cocoa butter needs to be held at 92.5°F for 12-24 hours. This allows the type V crystals to form. Once it is held at that temperature for the length of time. 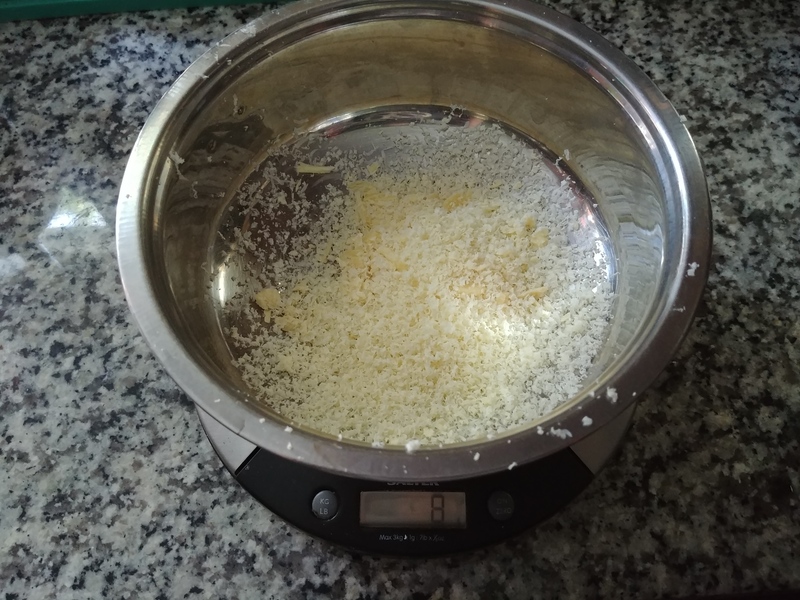 it can be poured into a container and allowed to set up to be ready to be grated when needed. 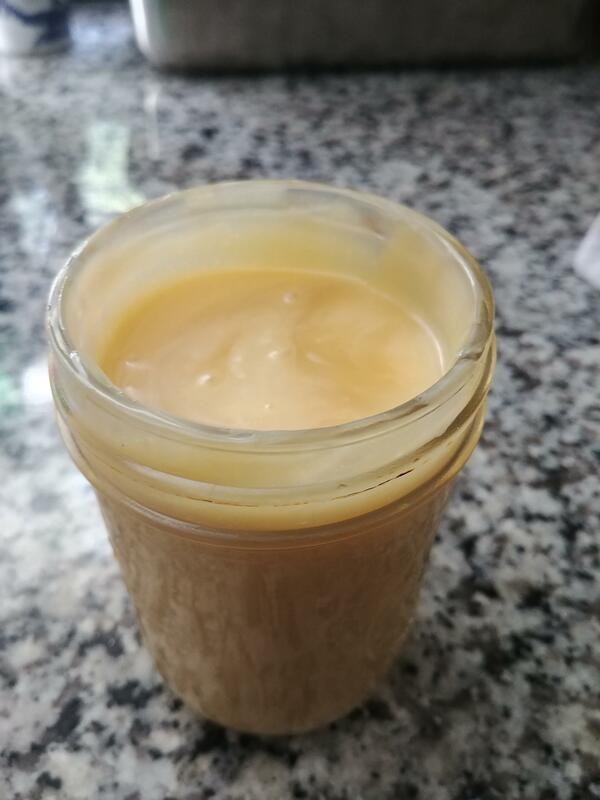 I loaded the untempered cocoa butter into a mason jar. And into the tepid puddle machine. 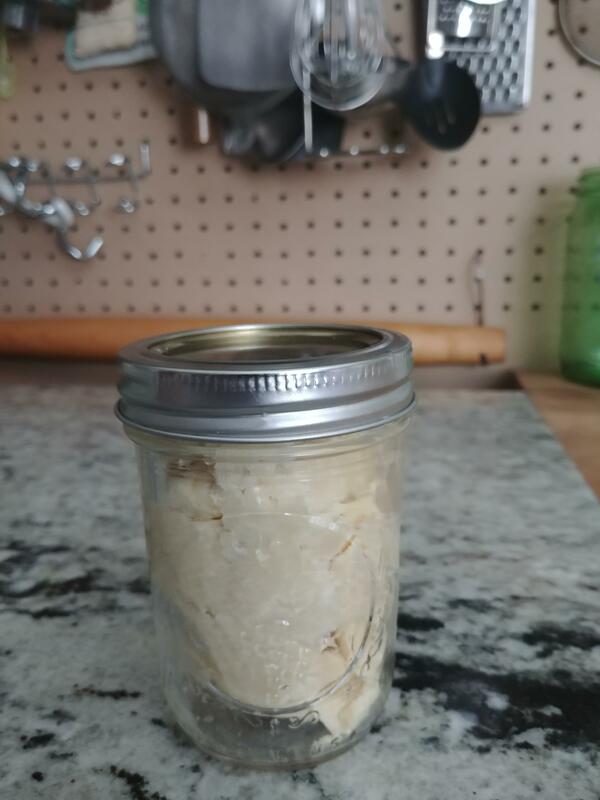 24 hours at 92.5° later the silk is done it has the consistency of mayonnaise at this point. Poured into a mold to set up. The silk is ready to be grated when needed at this point. Hell yes, I'm down to see where this goes. This looks cool and I'm not at all jealous or anything. It's been something I've been interested in for a long time it's just been unrealistic to do on a small scale until recently. 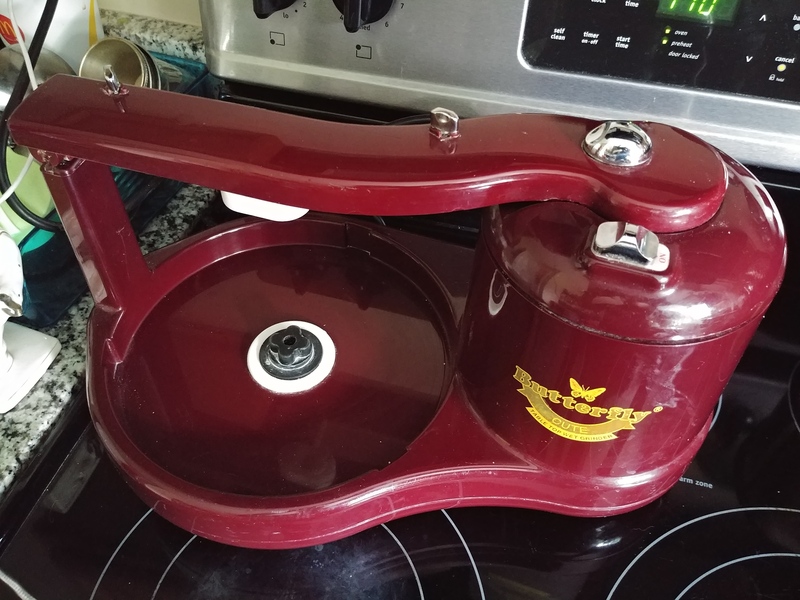 The grinder I got off the goodwill auctions site. I just would check every day for wet grinders. Indians use them for a lot of different dishes. I was finally able to bid and win one but we were I the middle of moving at the time. I've just now had the time to set everything up and give it the first run. About 6 hours into the grind it is much smoother looking but when tasted still has a lot of grittyness to it. About 9 hours left to grind. It's smoother than it was before I checked it and went to bed, but still not quite there. The flavor has changed a bit too. When first grinding it had an acidity to it that kind of hit you in the back of the throat that's mellowed out considerably. This is a really cool thread and I'm looking forward to more development. One question though, how much did you end up paying for the grinder? 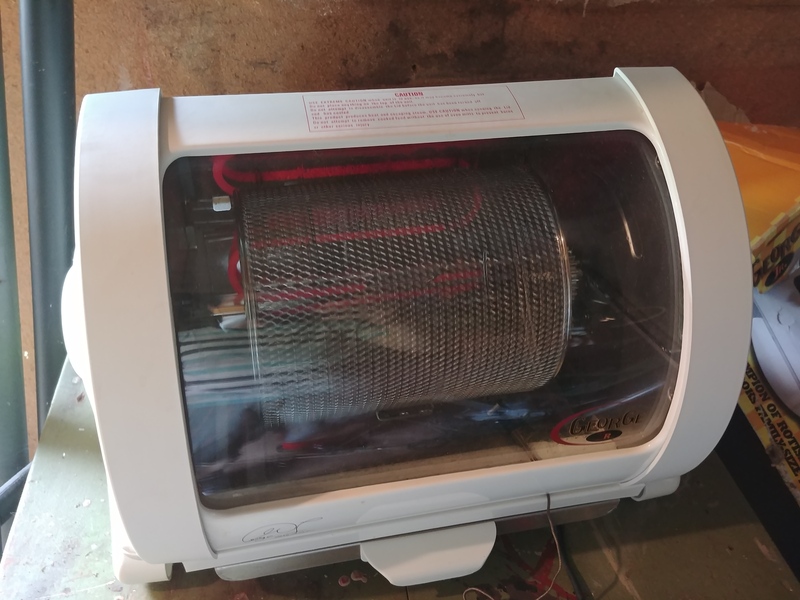 I could use one, but they all seem pretty small or expensive or 220v, and I'm curious how much I should expect to pay secondhand. I got this one for about $40 including shipping from the goodwill auctions site. I would search for wet grinders every day and watch any ones that popped up. It still took me about 2 months of doing that before I was able to get one for a reasonable price. Sometimes they end up in bidding wars. This one is unusual in that it has 3 stones most other ones I've seen only have 2. That's much less than I thought it'd be. I'm going to start watching auctions... Never thought about that. If you have the patience to wait on the right one to come along I highly recommend it. I kept an eye on eBay too but it's even more of a crap shoot there. I ended up with just about 800 grams of finished chocolate. 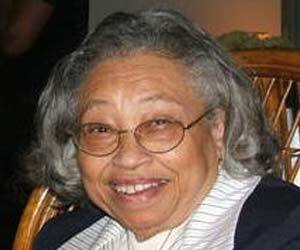 This is where the cocoa butter silk comes into play. For 800 g of chocolate I need 8 g of cocoa butter grated finely. 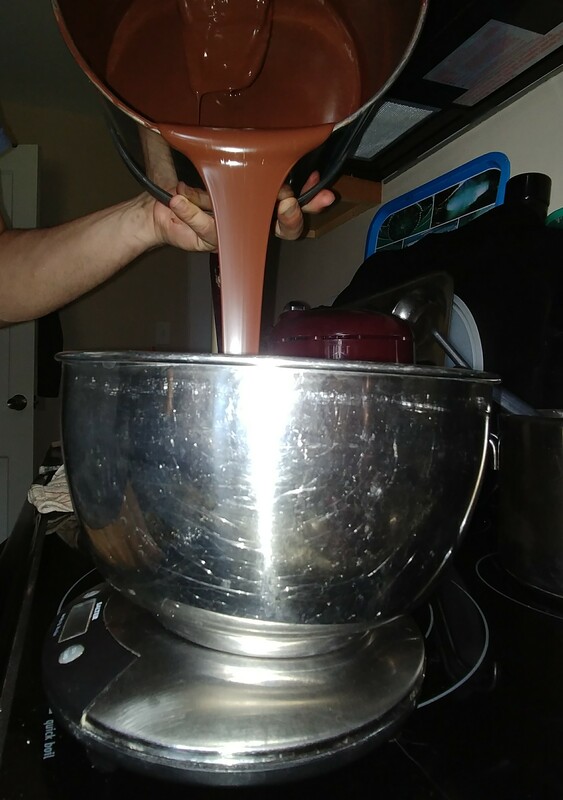 The chocolate came out of the melanger at about 104° F I stirred it around until the temp came down to 94°-95° and added the cocoa butter. I already had my mold prepared while I was waiting for the chocolate to cool off some. This kind of mold you just polish with a clean cotton towel. I put down some parchment paper cause it can get messy. 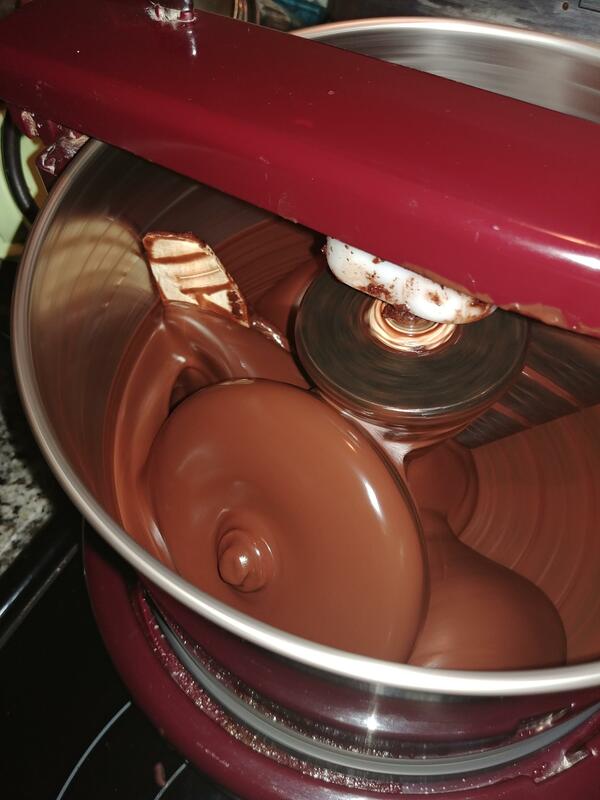 After adding in the cocoa butter the temp of the chocolate will drop a few degrees. You gotta work fast before things start setting up on you. For a little batch like this at home it's not so big a deal. 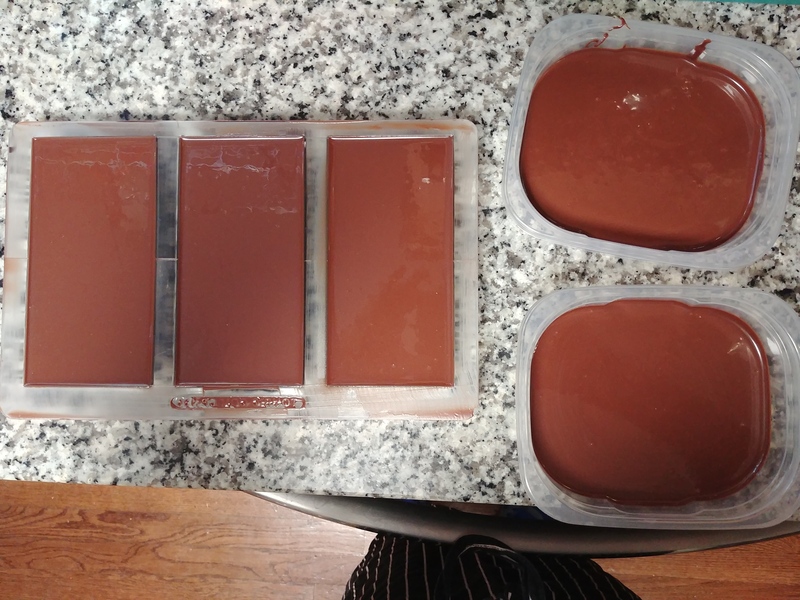 Fill mold, tap on counter to settle the chocolate into all the nooks and crannies in the mold and to get any air bubbles out. Then more waiting for the chocolate to crystalize. Leftover chocolate I just poured into some other plastic containers for now. Hmmm I hosed something up with the tempering. This is bloomed it's fine and tastes fine it's just ugly. I'll melt it down and retemper it tomorrow. 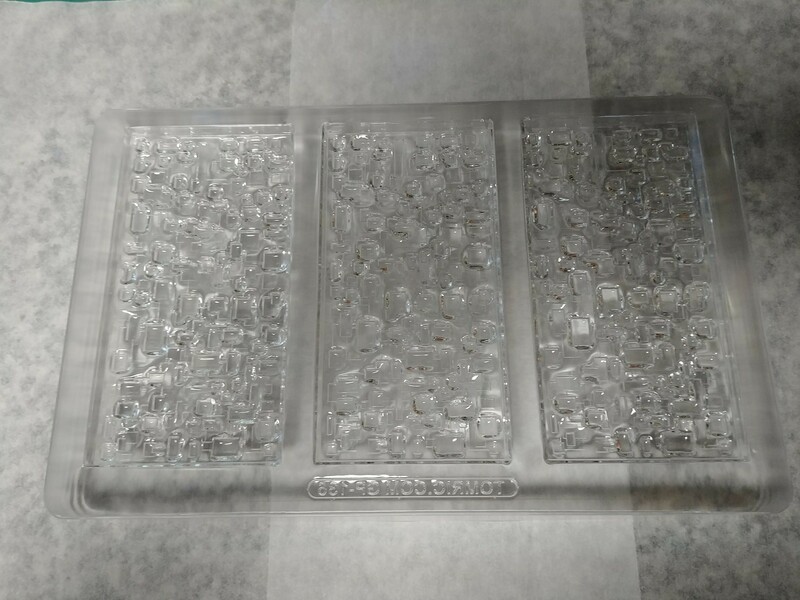 Are those glass molds? Did it maybe thermal shock when it hit the cool glass? They are a polycarbonate and I probably should have warmed them a bit with a hair dryer. The shiny one is the same batch I had just put it in the freezer before it set up to see what would happen. Warm molds and freezer ASAP will be my procedure from now on. I'm just spitballing, most of my chocolate experience is converting it into ganache. 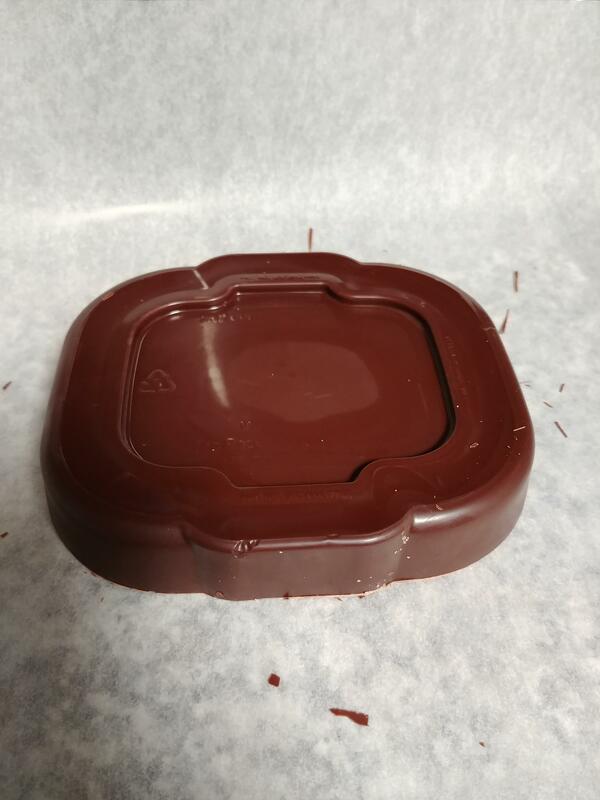 I've never really used a bar mold before all the other chocolate work I've ever done has been free form or little individual bon-bon molds. The finished product is still delicious. This bean was from Fiji. It's a very chocolatey chocolate. It would be interesting to try it as a 70% chocolate and a milk chocolate. Just to see the differences. 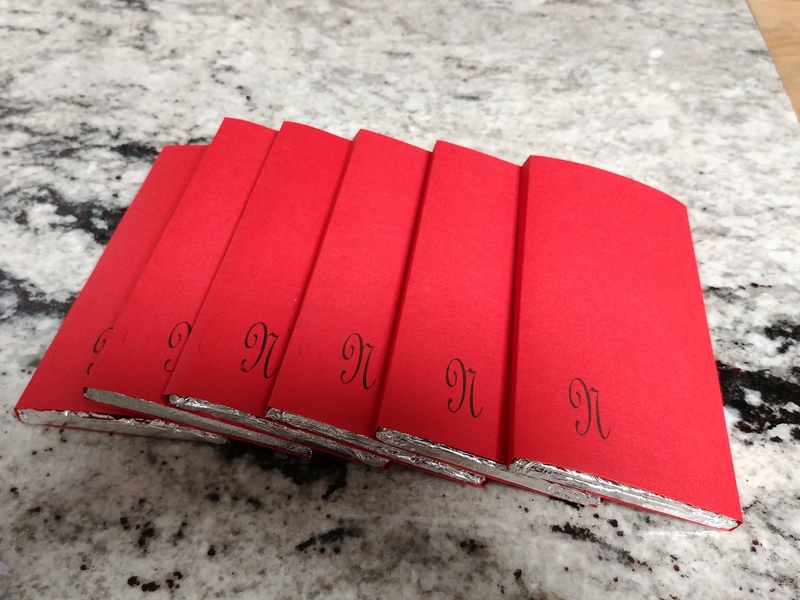 That is a cool project, I had never really considered making chocolate from scratch. Looks like a tasty bar even though it bloomed! The shine on the freezer mould is lovely too. Thanks, yeah it's been super interesting. I was doing some reading around before bed last night and came across this article which describes what happened to a T.
I thought even if it was tempered it needed to be cooled quickly so as not to bloom. Is that not the case? 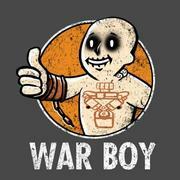 At any rate, i don't have much to add but awesome thread and thanks for sharing. I've done batches in molds with smaller cavities with out chilling them and had it come out fine. That was with a commercially produced chocolate though. This is a whole new thing. I ordered a 10# bag of some "evaluation" beans that chocolate alchemy had available. It's basically samples he's gotten from around the world for next to nothing. I thought it best to practice roasting with something like that before I mess up something pricey. That should show up in a few days. Today I got a container of whole fat dried milk powder so I can give making a batch of milk chocolate a try. You can use non-fat milk powder for it but it won't be as creamy. I've also seen people using goat milk powder for it. I'd be really interested to make milk chocolate that doesn't have the vomit flavor most US chocolate cribs from Hershey's use of butyric acid. Most? I haven't encountered that in any remotely good chocolate, and I buy milk chocolate over dark every time. The Trader Joes pound plus bars are my usual go-to if I need a chocolate for something I'm doing at home not work. Most places I've worked use Valrhona for almost everything. Hersheys just started ripping them off with the gold chocolate. Valrhona had been making a carmalized white chocolate they call Dulcey for years. I want to try and make something similar not sure how yet maybe browning the milk powder if the oven first. 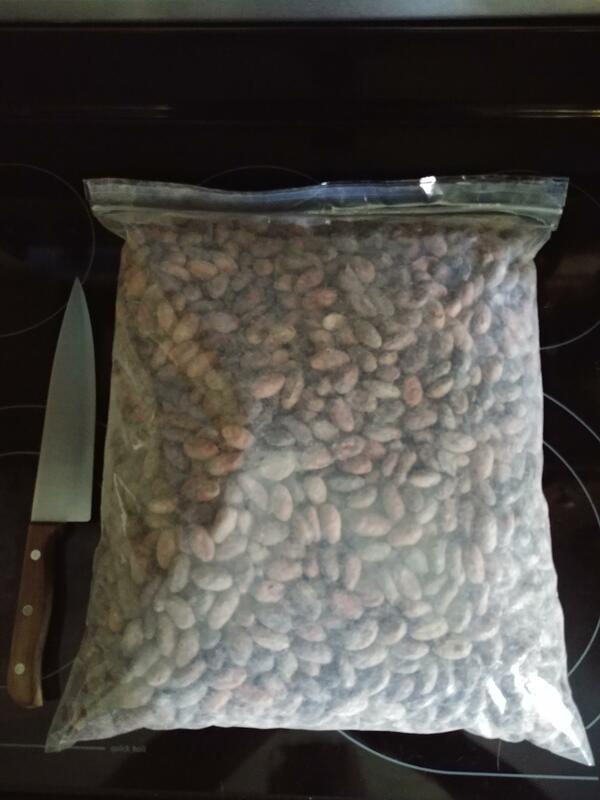 Got my next batch of beans in. These were being sold as experimental beans samples from all over the world mixed up in no particular order. It'll give me a cheap way to get some practice at roasting. That's an 8" chefs knife for scale. Did a small test roast last night started with 800g of beans. Started the roast at 425° after 10 mins dropped it to 350°, stirred. After 5 mins dropped to 325°, stirred. Then 300° for about 15 mins until I started hearing the beans "crack". The smell in the house was pretty amazing like brownies and bread baking at the same time. One of the most interesting things about it was I weighed the beans this morning after they sat and cooled overnight and the weight had dropped from 800g to 762g. It will be something I keep track of as I do more test roasts. There will also be some losses after cracking and winnowing(seperating the bean from the husk). I'm working on that today and will hopefully have this batch in the melanger later on. I didn't get to start grinding today. It's a contraption to winnow the nibs easier than trying to do it with a fan or a hairdryer. There's a description of how it works in this video. I used an older set of plans he had for a simpler version of it. The one he's demonstrating he sells but that's no fun. It got too late to run the vacuum tonight so I'll winnow and start grinding tomorrow. Cool thread. I've heard of a lot of people who roast their own coffee beans using old 70's-style popcorn air poppers, since it constantly agitates the beans and I imagine would lead to a more consistent roast. Have you heard of, or considered this? Since home roasting has become more popular I guess they've been more difficult to find, but since you're literally grinding your own beans to turn into chocolate, I figure that's not really a bridge too far. 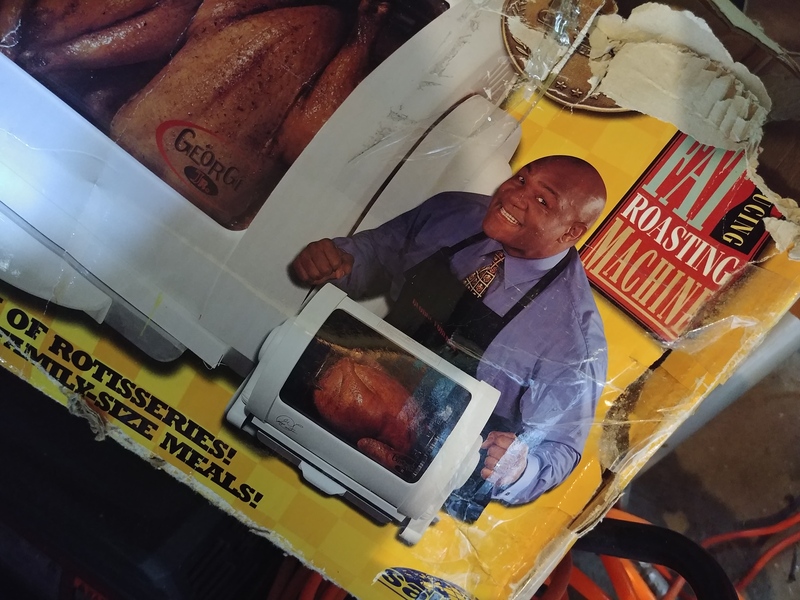 I'm on the lookout at thrift stores for something like that or one of those rotisserie ovens. 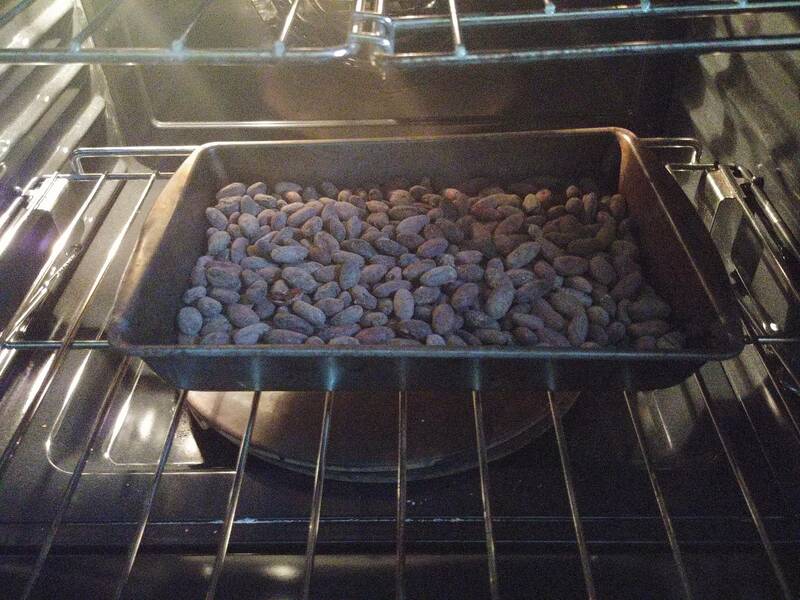 Cocoa beans roast at a lower temp than coffee beans so it's easier to adapt something like that to it since it doesn't need to get as hot as it would for coffee. A lot of the more established "craft chocolate" makers are using modified coffee roasters to roast the beans. I had to redesign the winnower a bit to make it less top heavy and more efficient. 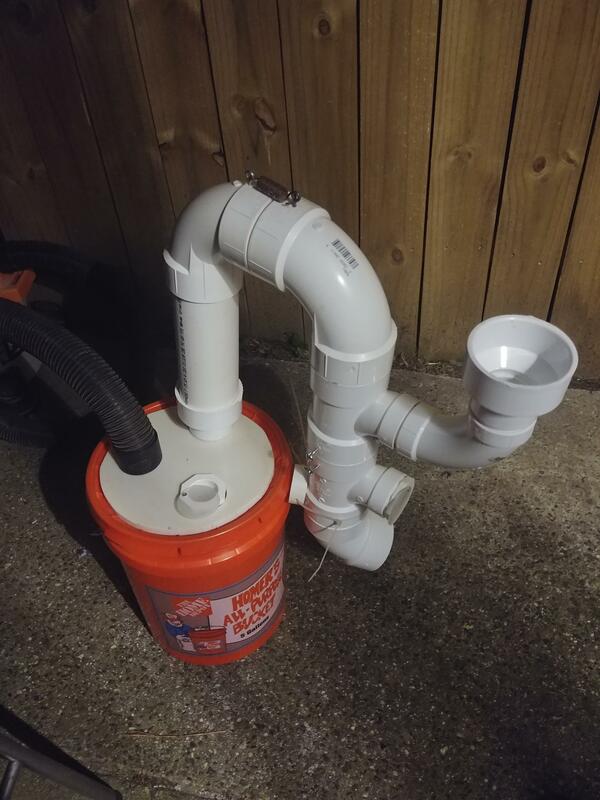 The original plans called for 3" pvc pipe I was having a hard time getting good suction out of my shop vac for it so I stepped it down to 2". It still is going to need some tweaking but I was able to seperated the husk from the nibs pretty easily. I ended up with about a 72% yield and that included when my clumsy rear end knocked the bowl over. 80% yield is considered good so I feel like I'm on the right track. 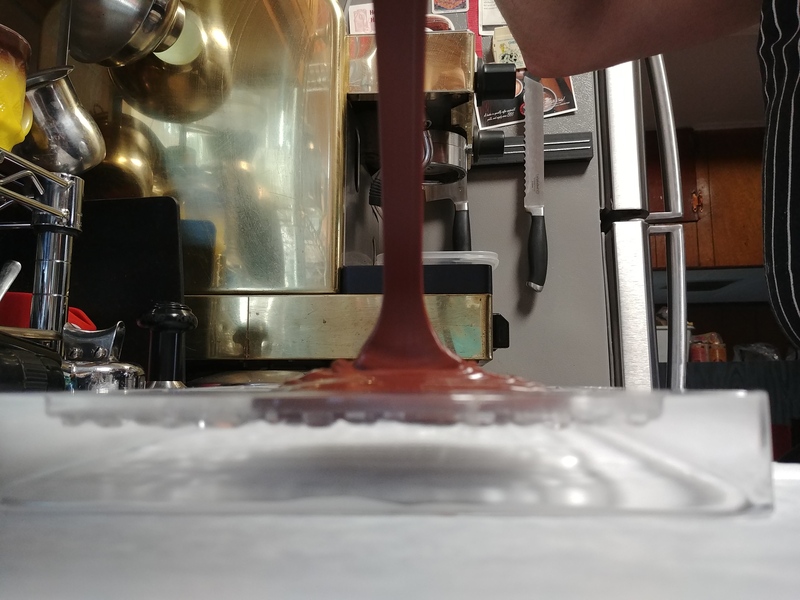 I've got a batch of milk chocolate in the grinder right now. I'll be tempering/molding it when I get home from work later today. 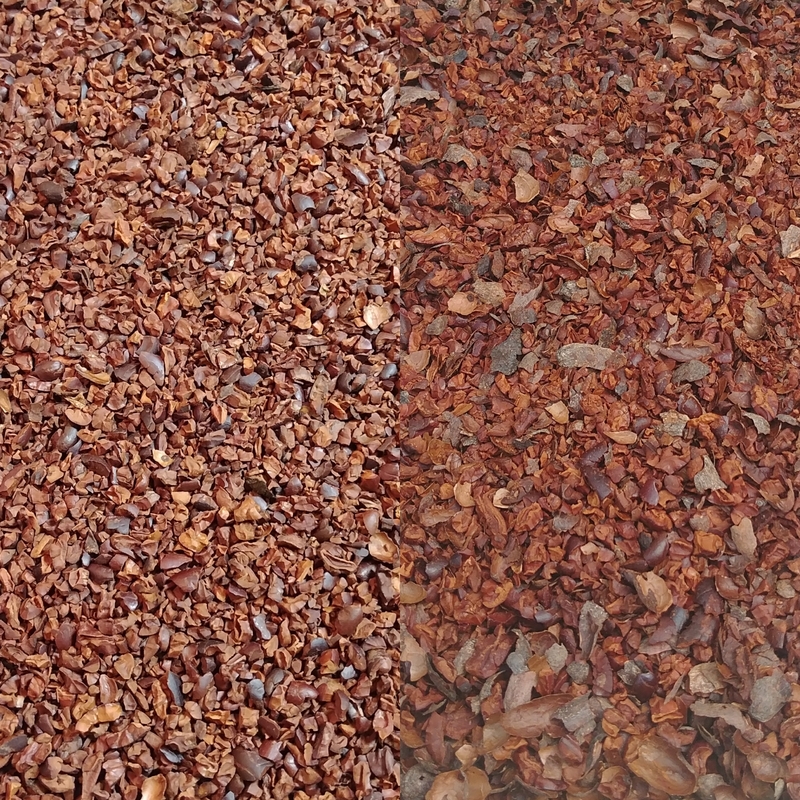 The ones on the left are after winnowing and in the right before. You can see the pieces of husk mixed in. This is the milk chocolate I had going since last night. It's about 53-54% so pretty dark for a milk chocolate a lot of them are around 40%. 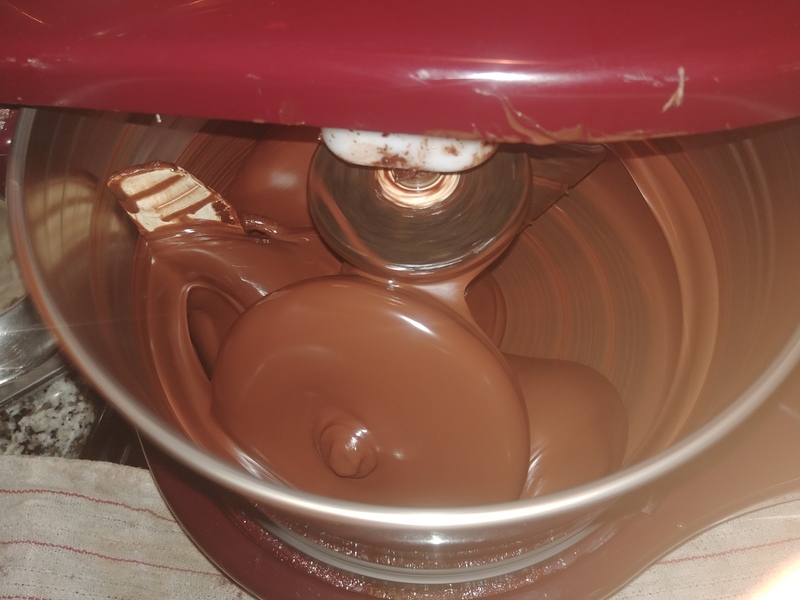 I started with about 550g of nibs and had a final yield of 1200g of milk chocolate. This time I threw it in the fridge right after knocking the air bubbles out and it didn't bloom like the last time. It has a great snap to it next time I may add a little more cocoa butter it was pretty thick in the grinder. I have to find my other molds and make some smaller filled chocolates next. How's the flavor compared to what you get in the store? Is it really that different, or is it more just because it's cool to make stuff yourself? Just like coffee it depends on where the beans are grown. The single origin chocolate thing has been more of a big deal lately. The bigger industrial chocolate makers (nestle, hershey, mars, etc...) are usually trying to find the cheapest beans they can get their hands on no matter if it is fair to the farmers or not. Some chocolates can be fruity, some can be spicy, some can be floral. The place I've been getting my beans from so far chocolate alchemy the owner does a pretty good job of describing the beans he sells and most of them are organic and fair trade. I have an interview for a Choclatier position with a large catering company tomorrow. If the salary they offer is right I would take the job in a heart beat. Interview went well I'm going to do a stage next week and see how that goes and if they are willing to match my current salary I'll be all up in it. $20 at the thrift store across the street from my house. 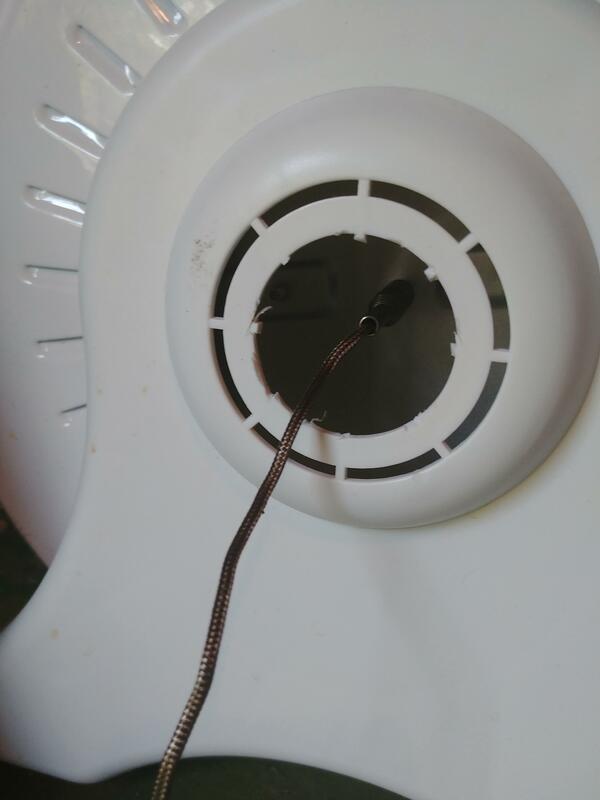 I did a little modification already and drilled out the center of one side of the drum assembly so I can stick the probe from my thermometer right into the middle of the beans when roasting. That should be plenty hot enough and the constant tumbling will provide a more even roast. 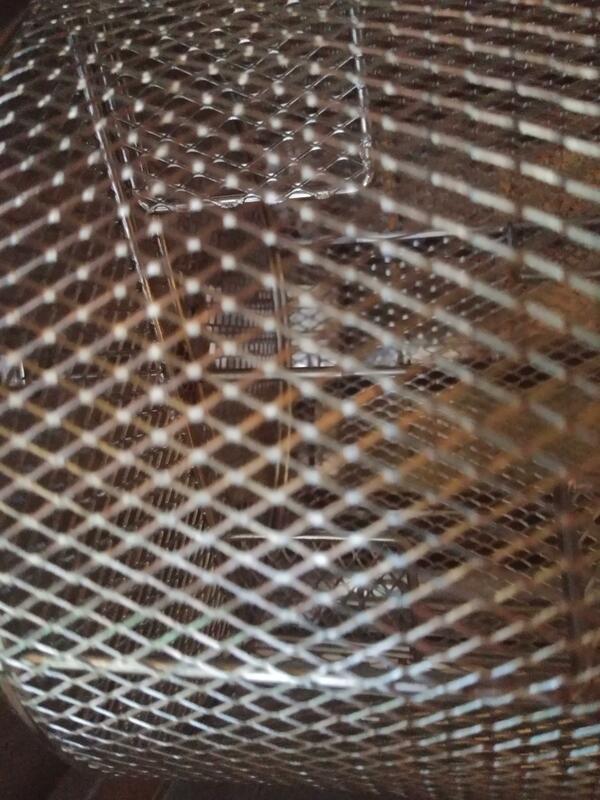 This drum already has little fins built into the inside to encourage things to tumble. Coming back to say I am really enjoying this thread! Did you get the interview for chocolatier off the back of this project or is it something you've been considering for a while? I've been at my current place about 2 years, but I've known for awhile it ss time to look for something else. This place is an old school union hotel and the union has done pluses it also has some minuses. Namely the senority factor and that there are guys that have been there 30+ years that they can't fire and are not going to quit anytime soon. That leaves no room for advancement in the company so sticking around here isn't really an option. I've been looking and going on interviews, but for some reason or another don't end up getting the job. I saw this position and thought it might be a good change of pace and help to make me more well rounded. I've done plenty of chocolate work before. Most places chocolate work gets rolled under the pastry banner and you just have to do it and the million other things you need to do. It's pretty rare to see a position like this that isn't a retail shop. I wouldn't be producing the chocolate for there from beans but I think it defiantly got their attention when I brought it up in the interview. It the quick tour of the place I got the other day they have a climate controlled room that the choclatier and cake decoratior work out of. That's a really nice plus. The one small inn I worked for inn the past I was expected to make all the bon-bons for in room amenities in the same 80°+ kitchen everything else was being done in. Going to pre-heat George and get a test batch roasting this morning. Very cool, I was looking into this a little bit a year or so ago -- is the melanger you're using generally marketed to the South Asian community for wet-grinding rice for idli? A lot of the basic how-to's said to buy those because they're cheap and counter-sized. Yeah that's what I found out too. There are ones now that are supposed to be beefed up to be able to run constantly like the grinding process requires. I'm pretty handy so I'm not worried about if anything breaks I can reengineer it. Taking some samples of that last batch of milk chocolate with my to my stage tomorrow. Maybe a prototype of a future packaging concept.